Often the product data that companies or merchants have, is housed in marketing catalogs, brochures, Enterprise Resource Planning (ERP) systems or the sales people have it in their heads. This form of product content/data is usually not easily accessible to customers. It is far from comprehensive and may not even be fit for internal consumption, let alone publishing online for e-commerce purposes. 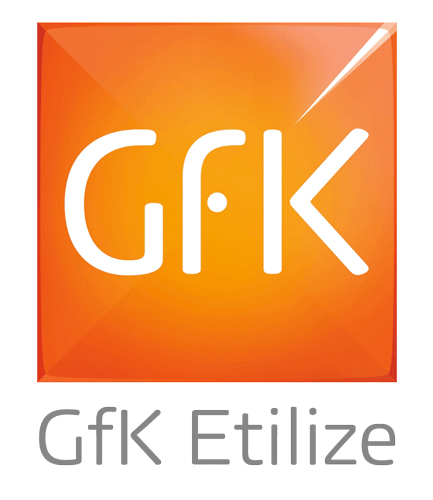 Containing more than 20 million products, GFK Etilize’s product catalog is the largest in the world. The data is optimized and categorized with respect to SEO. It targets over 50 markets and is available in 30 languages. GFK Etilize offers both, online as well as downloadable content as Spex Live and Spex Plus subscriptions respectively. Put out the right content with comprehensive and error-free data points. Whether you require content on-premise for your affiliate channels or require hosted content, let Think Enabled be your enabling partner. We can comprehensively integrate both the Spex Live and Spex Plus offerings from GFK Etilize. We have been tasked with challenges a number of times. When it comes to custom integrations that no one else offers, we have numerous success stories to back us up. Let us add one more to the list.. Whether you deal in Office Supplies, Furnishings or Health Care, IT or the Consumer Electronics sector to that matter, we know what your general needs might be already even before you speak to us. SpexLive is a product content offering by GFK Etilize. It is made available as a web service that supports both REST and SOAP protocols. SpexLive allows real time integration of data from GFK Etilize’s servers. It features product search, categorization, sorting and filtering, information, comparison and merchandising material for millions of products. SpexLive is tailored to enhance the performance of ecommerce web sites by enriching product content with multiple built-in functionalities and features. Spex Plus is a product content offering (available as downloadable CSV files) by GFK Etilize. It is intended for the facilitation of ecommerce businesses. Basic Spex Plus subscription provides well curated product data. It includes accurate categorization, basic product specs, key features, short marketing descriptions, product part/model number and distributor SKU, dimensions, warranty information etc. Detailed Attributes Add-On Module: Enhances advanced search capabilities and includes in-depth, extended product specs. Options and Accessories Add-On Module: Offers vendor approved information about options and accessories provided by the manufacturer. It includes images for more than 90% options and accessories excluding virtual ones like services. Up/Cross-sell Add-on Module: Showcases similar and or superior products relevant to the product search keyword. This increases likelihood of premium products’ sales. Rich Content Add-On Module: As the name suggests, this module incorporates product content that is rich in nature like downloadable PDFs eg. user and safety manuals and brochures, Flash or video based product demos, hi-res imagery of product from multiple angles. E-commerce business to the next level by leveraging the ‘e’factor. Feed Connector - an e-commerce supply chain initiative by Think Enabled | © Copyright 2019 Feed Connector. All rights reserved.